As you can see, each channel has a different target group and therefore different requirements regarding the format and addressing of your audience. 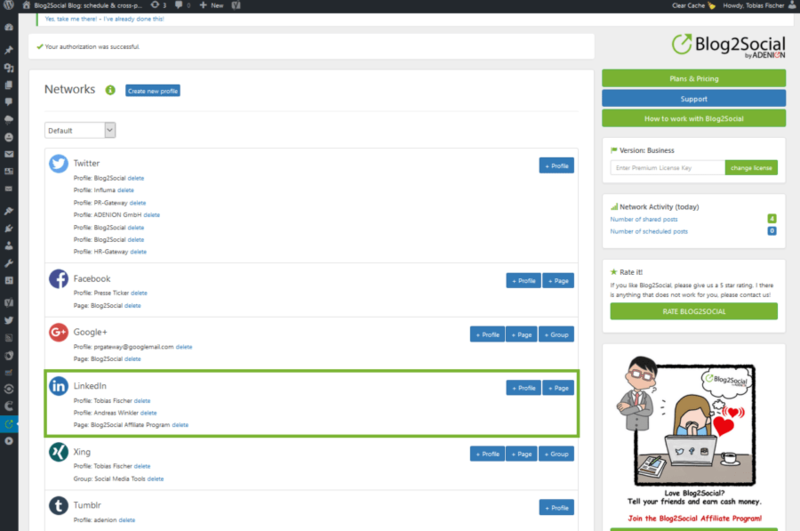 Focus pages for example, have a larger header image than other LinkedIn channels, a two-column layout and no career, product or job tabs. Simply put, your showcase pages are more focused on content. 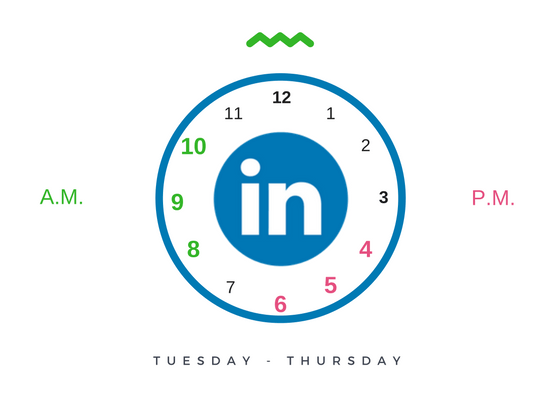 Your shared blog posts should be accordingly more detailed and best published during the network's rush hour: Tuesday - Thursday between 8am and 10am as well as 4pm and 6pm. Company pages, on the other hand, offer you a limited space of 2.000 characters to present your company and your business. 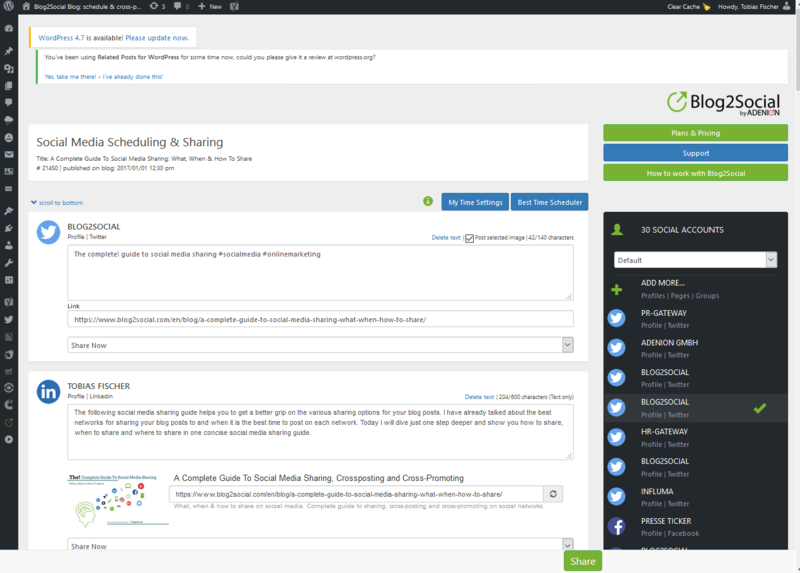 Besides, you can share regular status updates on your corporation. Since this is your company's promotion and information platform, your wording and address should reflect that. 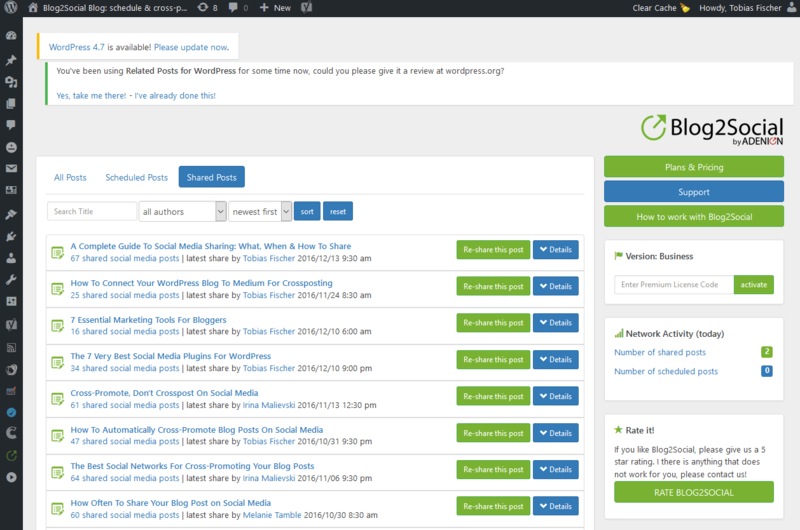 Publish your status updates during the network’s rush hour, but at a slightly different time than your shared blog posts on your profile or focus pages. 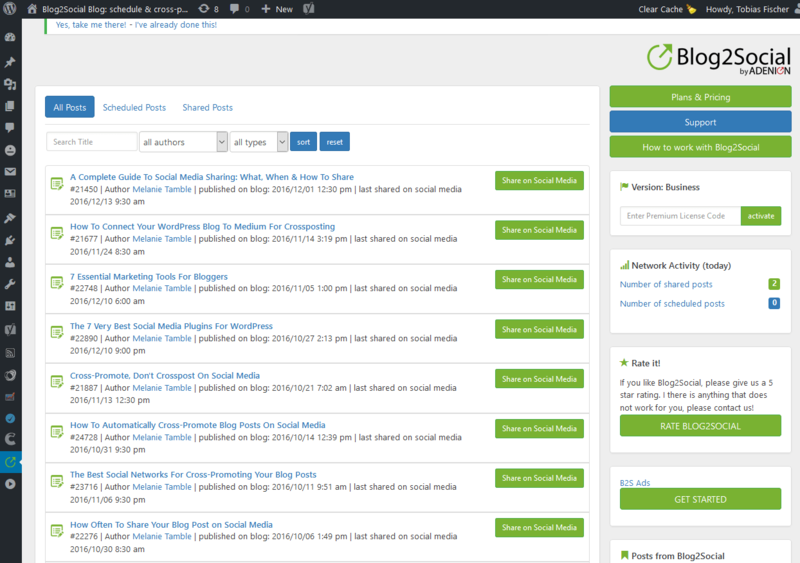 The WordPress plugin Blog2Social allows you to simply connect your blog to LinkedIn and publish your content across more than 15 different channels - simultaneously, with the auto-posting and cross-posting power of Blog2Social. 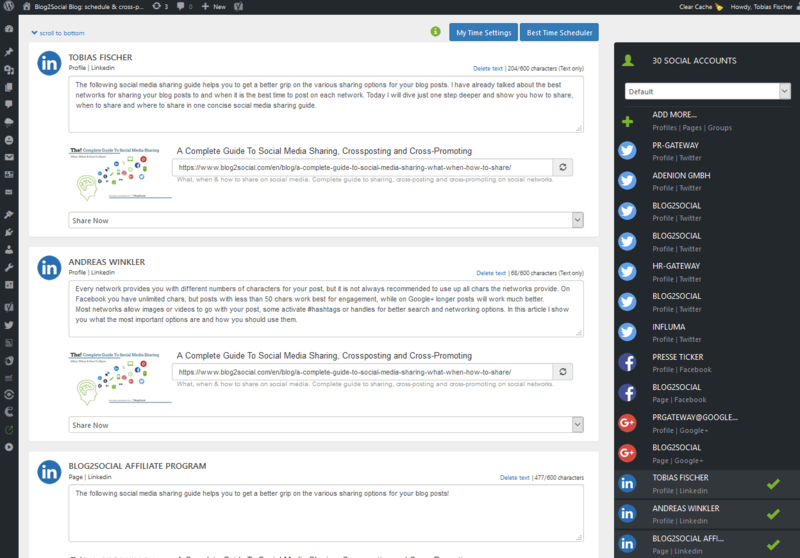 Blog2Social allows you to easily customize each of your blog posts in detail - whereby your postings will sound exactly as you want them to: personal and engaging. 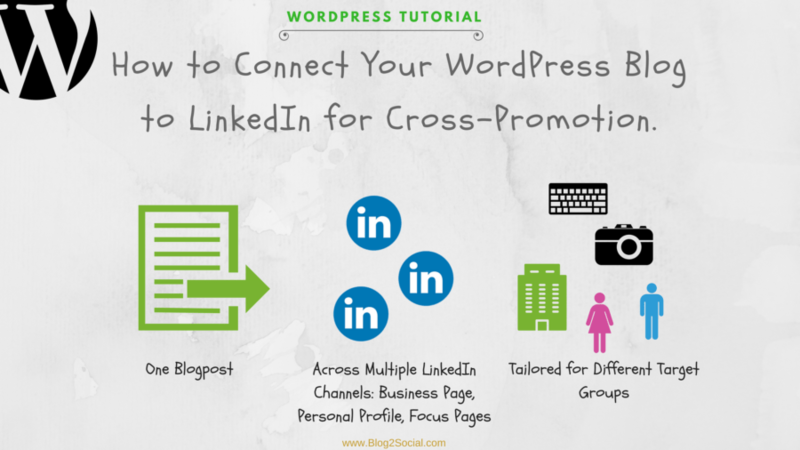 That offers you a variety of options, especially, if you want to share the same blog content on multiple LinkedIn channels but with individual salutations and texts for each post. This way, you ensure the right address for different target groups and thematic discussions and you can further optimize your automated social media marketing. 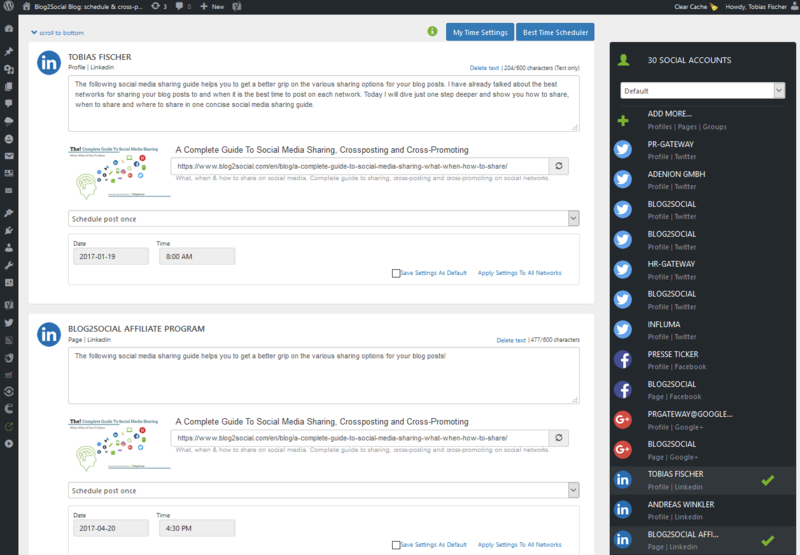 As I mentioned before, Blog2Social grants you full control on your automated social media marketing on LinkedIn and other networks - including a detailed reporting function.